My husband and I have recently decided to start transitioning from all of our non-stick cookware to cast iron, glass, and stainless steel. In this post I will explain why teflon is not a safe choice, what alternatives I have found that work well for me, and how I started transitioning. The wonderful thing about Teflon, which I would believe everyone would agree, is that it’s non-stick (duh). You don’t have to worry about your eggs sticking, or scraping the bottom of your pan after cooking up a nice, big pan of bacon. While all of these things are great, it doesn’t necessarily outweigh the potential dangers. Teflon is made from a chemical known as polytetrafluoroethylene (PTFE). I was never very good at chemistry, but I’m pretty sure that’s nowhere on the Periodic Table. That’s because PTFE is a man-made chemical. One of the risks of using Teflon products while cooking, is the danger of the toxic fumes that can be released into the air when the pan or pot reaches high temperatures. These fumes can cause flu-like symptoms and could possibly kill small pet birds. That sounds scary enough for me! Teflon also has the tendency to chip and flake apart. If you don’t dispose of these chipped pots and pans, you can risk ingesting them. Yuck! That’s enough about that! I think you get the point. 1. Stainless steel: I love this choice for pots and some skillets. I have a lot of trouble keeping food from sticking to a stainless steel skillet, but who knows, I’m probably doing it wrong. 2. Glass: When baking, Pyrex is always a great option. I have also been able to find vintage glass pots for dirt cheap at garage sales and thrift stores. I LOVE using my glass skillet for cooking scrambled eggs because they don’t stick! 3. Cast Iron: This is definitely my favorite alternative. They are sturdy, cheap, and will last you a lifetime if you take good care of it. It might take some time figuring out how to season your cast iron skillet but there are plenty of helpful guides on the internet (like this one). Although they can be heavy, cast iron cookware can be a great non-stick alternative. Over the past couple of years my family has brought up the subject of changing out my Teflon cookware numerous times. I admit I brushed it off and didn’t think much of it. I started doing my research and made the decision that it was time to make a change. But where to start? I started making trips to different thrift stores and garage sales. 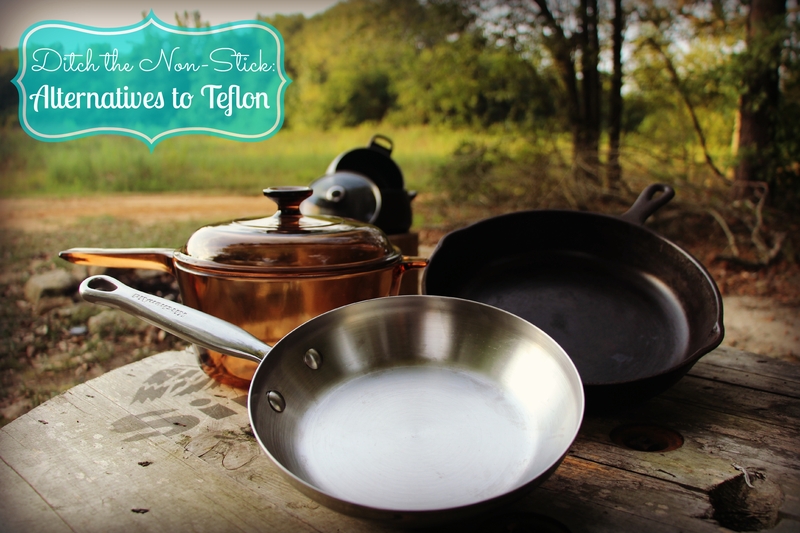 I was able to replace most of my Teflon products for less than $30 in under 2 weeks! I was also able to return many of my pots and pans to the stores I purchased them from, as I kept most of the receipts. If you are able to do this, you can get store credit to replace some of the products you need. It’s a win, win! The others that I could not return, I donated to charities or recycled depending on their condition. All in all, it didn’t take much time or effort to make the change. I hope you feel inspired to do so yourself! I promise you won’t regret it! Thanks again for reading and I hope you will come back again! 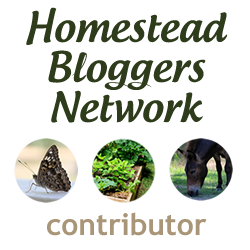 Don’t forget to follow and subscribe to my blog for updates! Mal, wonderful information, thanks for digging in the facts about Teflon…….your Dad bought me a set of class ware years ago, the ones that you find in the thrift shop (I still use every now and then) Papa and I was just talking about getting new stainless pots and pans…thanks to you I can I can replace my Teflon pans real soon…..love you……keep up the good work. ? I’m so glad you enjoyed it! I love the glass pots. Not to mention, I got them for $1.50 each! Sometimes new isn’t always better. That’s great! Well when you’re ready to pass that stuff down, I will make a good home for it! I think the best cast iron, is the kind with history! Thank you for sharing. Love you!